A picturesque and charming fishing village, the history of Conca dei Marini, like all the other towns of the Amalfi Coast, is closely related to the events of the ancient Maritime Republic of Amalfi: the chronicles of the time, in fact, narrate that the inhabitants of Conca dei Marini were skilled sailors and experienced traders, which owned 27 large galleons. Its typical houses in Mediterranean style feature vaulted ceilings and whitewashed walls, balconies with beautiful flowers and a spectacular view over the sea. 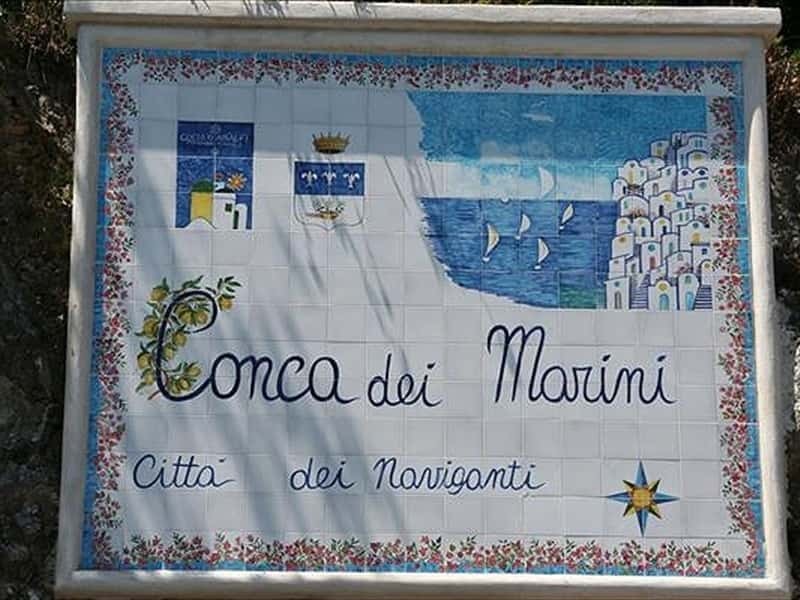 The terraces cultivated with lemons and tomatoes of the piennolo, the tranquility and the fresh sea breeze made Conca Marini the ideal "buen retiro" for lovers of discretion and quietness. It was, in fact, a preferred resort of important writers, artists and chiefs of state, such as: Princess Margaret of England, Gianni Agnelli, Jacqueline Kennedy, the Queen of Holland, Carlo Ponti and Moet & Chandon. - the Monastery of St. Rosa from Lima, with its adjacent church of Santa Maria di Grado. A former Dominican monastery, built in the VXII century on a rocky promontory overlooking the entire Gulf of Salerno, it features an austere exterior, whilst the interior is richly decorated. Here, according to tradition, the exquisite sfogliatella Santa Rosa was realized for the first time, a typical puff pastry filled with cream and pieces of fruit. The church preserves part of the skull of St. Barnabas the Apostle, one of the most important relics of the Amalfi Coast. 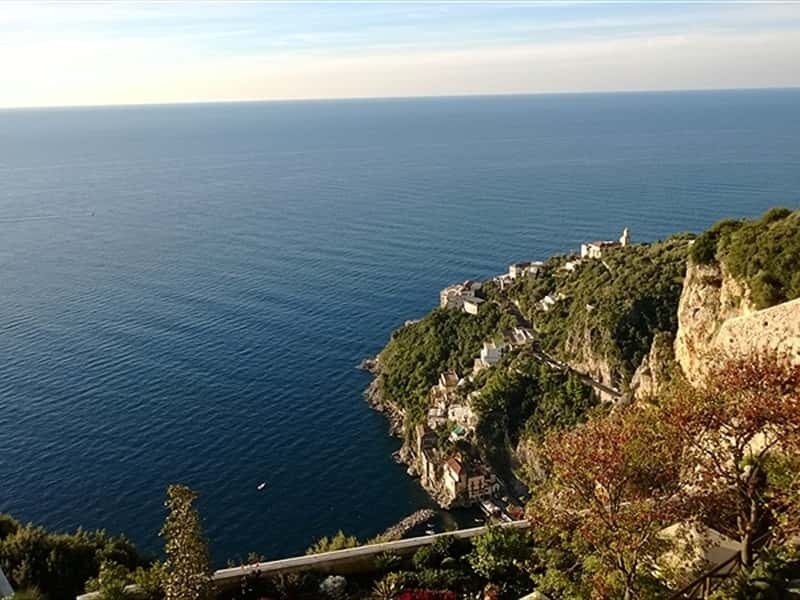 - the Church of San Pancrazio, surrounded by a beautiful olive grove (where the poet Alfonso Gatto, used to wander around in search of inspiration), enjoys an incomparable view on the Faraglioni of Capri and Positano. 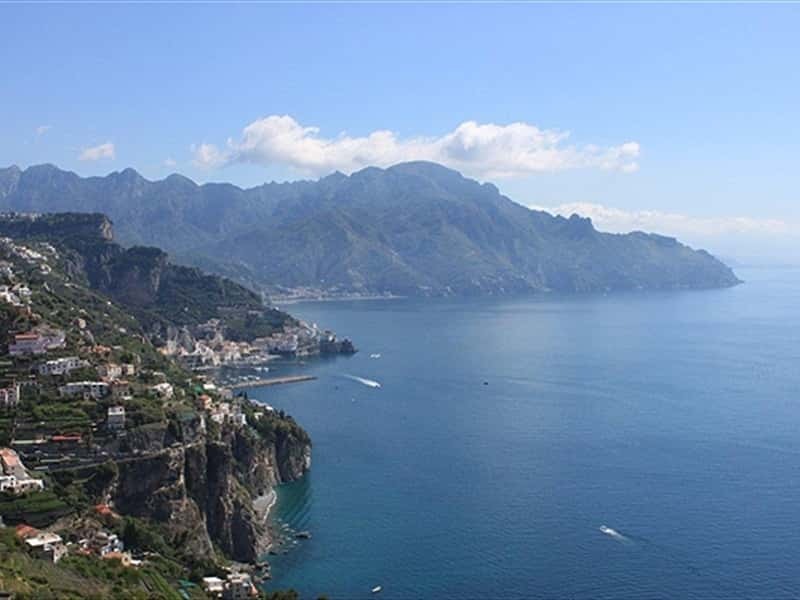 It was mentioned for the first time in an official document of 1370 of the Archbishop of Amalfi, Monsignor Marino, and was harshly sacked in 1543 and remained closed for a long time. 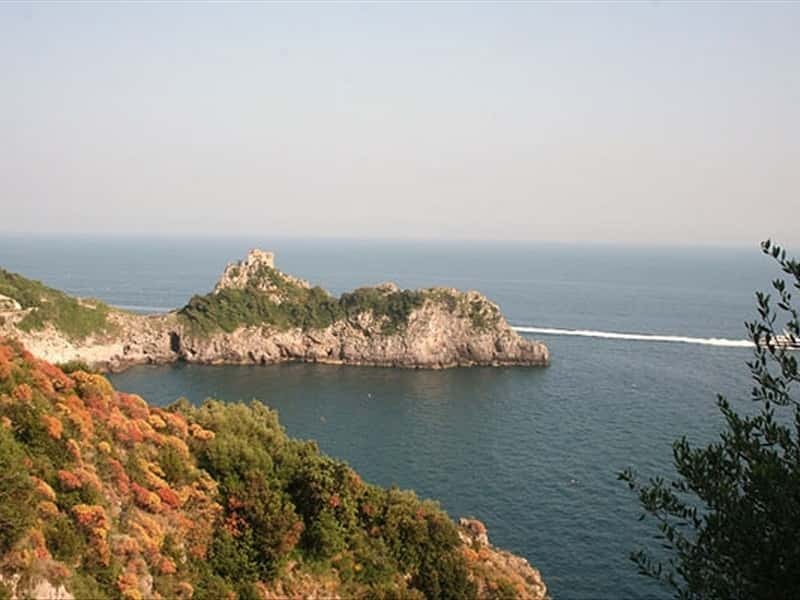 - the fortified Tower of Capo di Conca, also known as the Saracen Tower or White Tower, an ancient XVI century watchtower located on a picturesque promontory over the sea and surrounded by a thick Mediterranean vegetation. It was part of the defensive tower system built along the coast of the entire Amalfi Coast, to defend the population from pirate raids. However, after the defeat of the Turks at Lepanto, the tower lost its original purpose and was used until 1949 as a cemetery (for some it has been compared to the "towers of silence" in India). - Marina di Conca, a charming small creek surrounded by a group of houses facing the sea. It is not only a small natural harbor where the fishing boats dock, but also the centre, where in the past, the active life of the town was concentrated. This town web page has been visited 1,248,621 times.